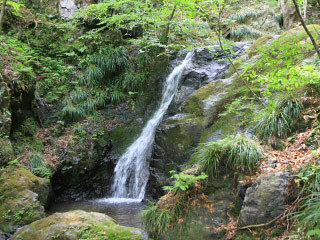 Fujikake Falls (藤懸の滝) is one of the waterfalls in Shiraya Valley, Hanno, Saitama prefecture. It is 2-step 10m tall waterfalls. 1. use bus to Naguriko Iriguchi.